Lots of people just want to get on and build their Cigar Box Guitar. 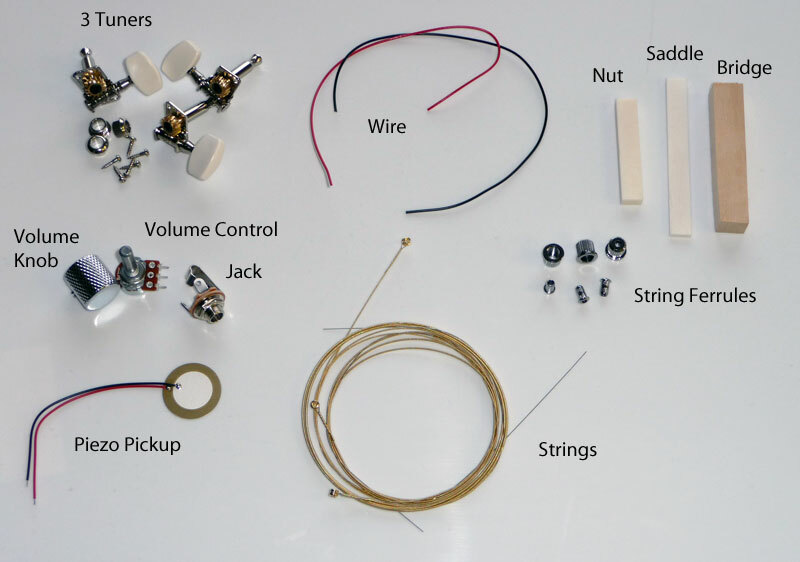 For these folks we’ve found some great kits that contain everything you need to make your Cigar Box Guitar. 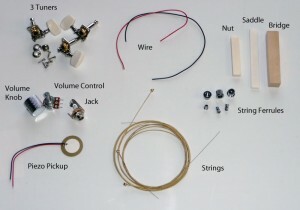 The Cigar Box Guitar kits are supplied by Tonetech Ltd, a luthier supply company in the UK. They contain a cigar box, a neck blank, strings, tuners, a nut and saddle, electrics, fret wire and a comprehensive set of instructions. The kit comes with the fret positions marked on the neck. The frets are cut slightly over size in length. You will need to cut a narrow slot along the marked fret lines using a saw with a kerf of around 0.023″ or 0.58mm. The frets can be pressed of tapped into place with a hammer then trimmed to size. If this does not answer your question please give me a call monday to friday, 9am to 4pm on 01614296955.